Incredible Price!!!! Welcome to La Patera! Single story on 2.4 acres impresses & surprises. 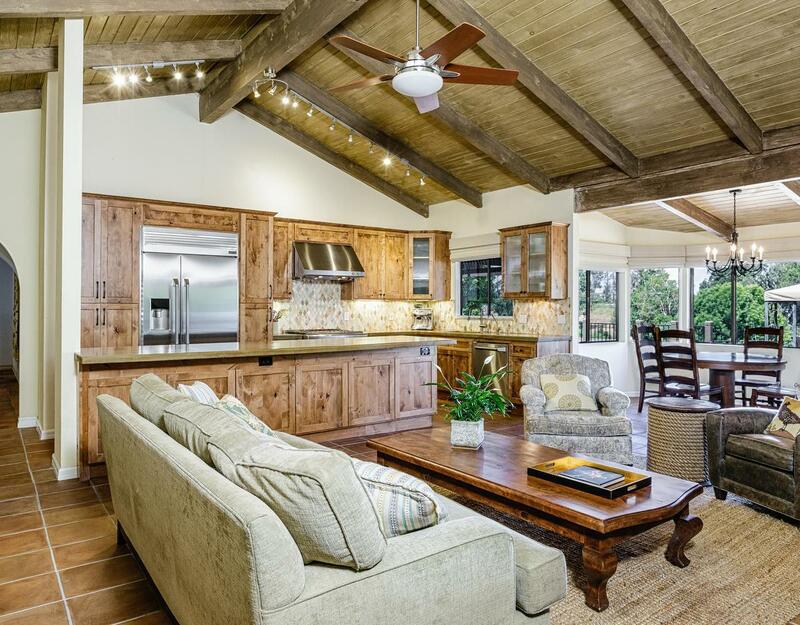 At the end of a cul-de-sac, a windy drive lined w/majestic trees transports you to a wooded oasis complete w/privacy, acreage for horses, + views in Las Posas Estates! Formal living room & dining room look out to private park-like gardens, while vaulted ceiling great room is perfect for friendly gatherings. Large bonus room has ample space for pool table + home theater. Additional bedroom, full bath, & living area off garage create a cozy retreat w/own deck & views. 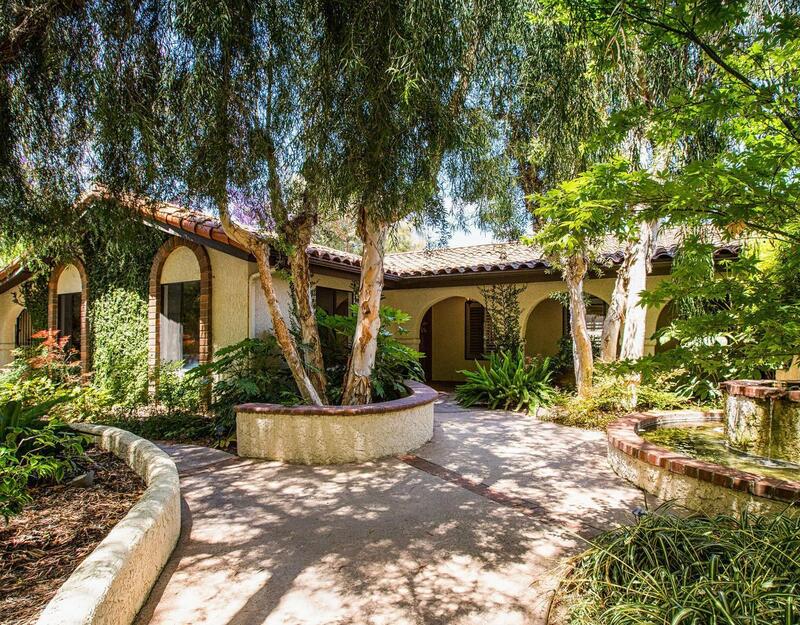 Estate even has secluded workroom for wine cellar, art/music studio, or equestrian tack room. Pie shaped parcel has variable uses w/ 3 large flat terraces. Expansive rear entertaining deck has built in bbq, dining area, & is adjacent to large grassy area + covered side patio. 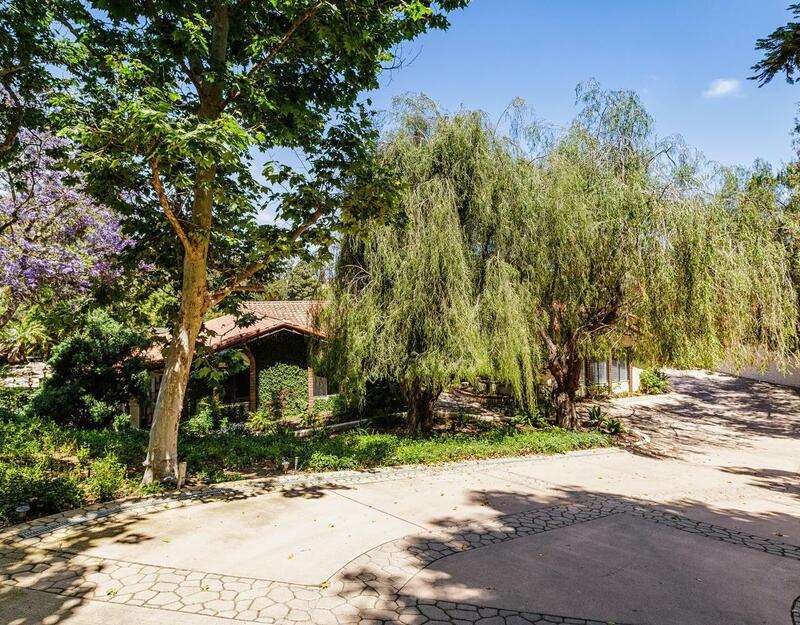 Huge 2nd terrace grass area offers vegetable gardens, incredible fruit orchard, & mature pepper trees. Lower terrace is ready for horses w/ Olympic sized arena, livestock, or creative fun! Stroll along a milkweed garden enjoying butterflies, pick blackberries from rambling bushes, or sit quietly under elegant trees. Acreage might even have split possibility! This is an amazing experience not to be missed. Love where you live!! 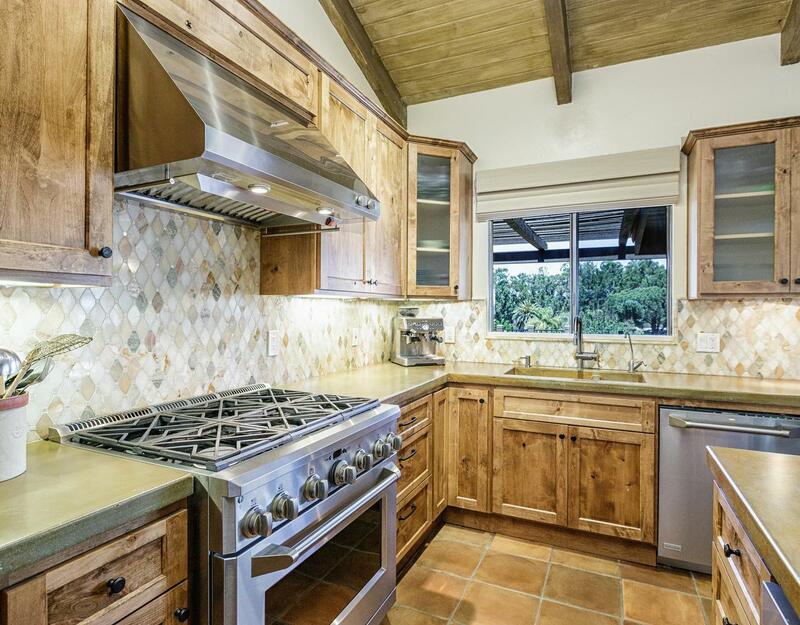 Listing provided courtesy of Judith Thielemann DRE#01364795 of Re/Max Gold Coast Realtors.